Prof Dr Clara Saraceno from the Electrical and Information Engineering Faculty at the Ruhr-Universität Bochum (RUB) aims to find new highly-efficient sources of light waves in the terahertz range. A Starting Grant from the European Research Council (ERC) will support her research. The funding of around 1.4 million euros has been provided for a period of five years. "If we succeed in finding these unconventional light sources that emit high-energy radiation in the terahertz range, it would be a groundbreaking development for many fields of research in chemistry, physics and biology", explains Clara Saraceno. Terahertz radiation is already being used in the RUB Cluster of Excellence Ruhr Explores Solvation, in short Resolv, to investigate in more detail how water molecules interact with various binding partners such as proteins. The researchers hope to use the new light sources to gain further insights into previously unresearched areas dealing with processes between the solvent water and substances dissolved in it. Clara Saraceno was born in 1983 in Argentina. She completed a dual degree in France and received her doctorate in Physics at the ETH Zurich (Eidgenössische Technische Hochschule Zürich). After receiving her doctorate, she worked as a postdoc at ETH Zurich and the University of Neuchatel in Switzerland. She was awarded the Sofja Kovalevskaja Award by the Alexander von Humboldt Foundation in 2015. 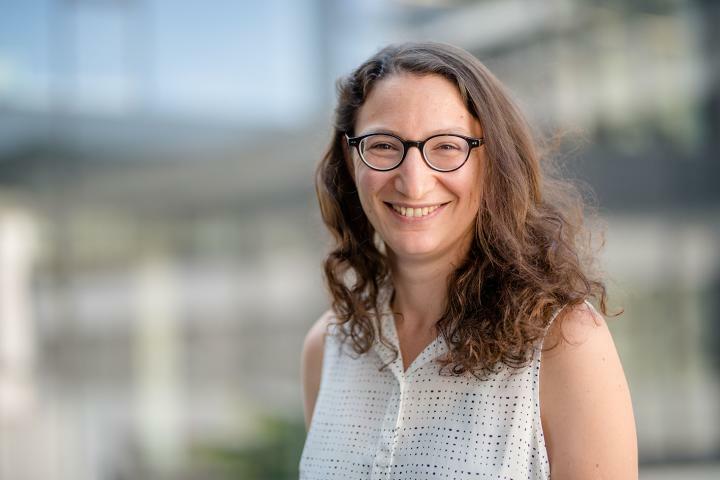 Since 2016, she has been a tenure-track professor at the Ruhr-Universität Bochum and a member of the Cluster of Excellence Ruhr Explores Solvation, in short Resolv.